This is a Porsche 911. It has a 3.6 liter naturally aspirated engine. It also has all-wheel-drive and a 6-speed manual transmission. It's has all the look of a Turbo, without the complexity of forced induction. It's also immaculate with low miles, and thanks to sweet, sweet depreciation, it's available for the price of a fully loaded Ford Focus ST. Oh. Yes. 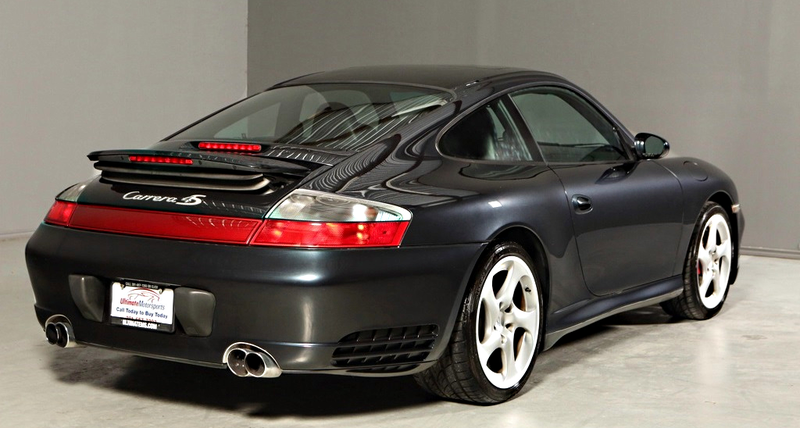 This 2004 Porsche 911 Carrera 4S is an automotive yardstick. Its 320 horsepower flat-6 engine delivers power to all 4 wheels via its 6-speed manual transmission, resulting in a 0-60 mile per hour time of 4.5 seconds and a quarter mile time in the 12-second range. It can easily blow the doors off nearly anything coming off the production line today. This car has had no accidents, and has 40,000 miles on it. It's practically freaking new. 10 years ago, it was the better part of $100,000 to buy. It has an alcantara headliner, all-leather dashboard, and metallic paint - all options that added up to around $5,000 in options when new. It's one of the most complete examples you can find on the market today. With Porsche 911 prices going through the roof and with some easily sourced parts helping with the car's reliability, this is the most modern Porsche you can get for this price, bar none. It's a solid entrance into the world of sports cars. Get it before someone else does.